Thank you mike for enlightening us! It is always good to know a little more. Doesn't really hurt as much as you might imagine! Does anyone know this lovely little plane? It was a conventional, low-wing cantilever monoplane with twin tails, mounted on the ends of the horizontal stabilizer. 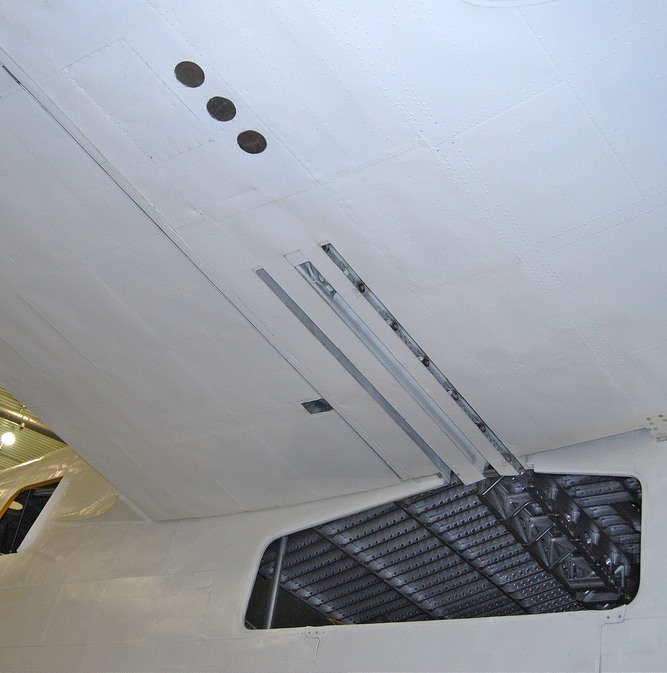 Power was provided by two engines mounted in nacelles on the wings that also housed the main units of the fixed, tailwheel undercarriage. The cabin could hold two stretchers, two medical attendants, and a flight crew of two. A single machine, registered OY-DIZ, was built during the war, with a second aircraft registered OY-DZU being built and flown in 1949. 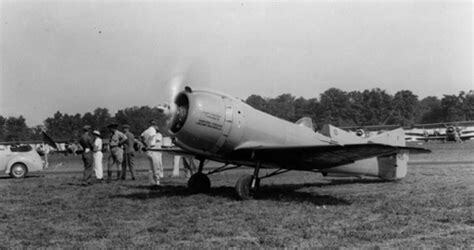 That same year, the OY-DIZ was christened with the name Folke Bernadotte in honor of the Swedish count who had used this very aircraft to make a diplomatic visit to Germany to negotiate for the release of Danish prisoners in German concentration camps near the end of the war. It is of course quite correct. Here's another, however I think this one is going to be an easy find. 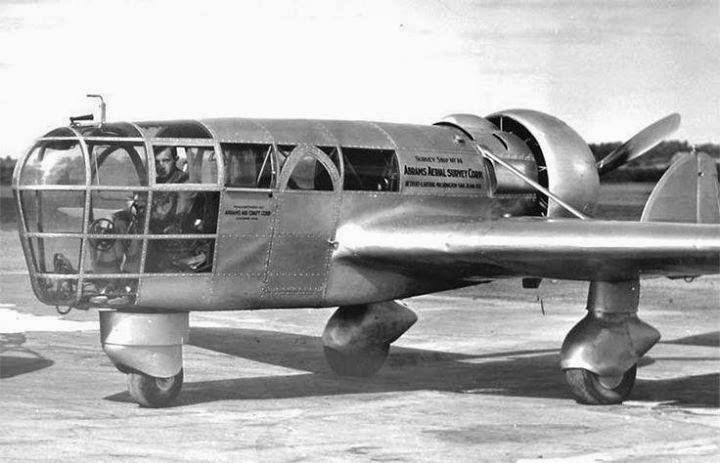 The Abrams P-1 Explorer was American purpose-designed aerial photography and survey aircraft that first flew in November 1937. It was designed by aerial survey pioneer Talbert Abrams to best suit his needs for a stable aircraft with excellent visibility for this kind of work. Abrams was an early aerial photographer, in World War I. 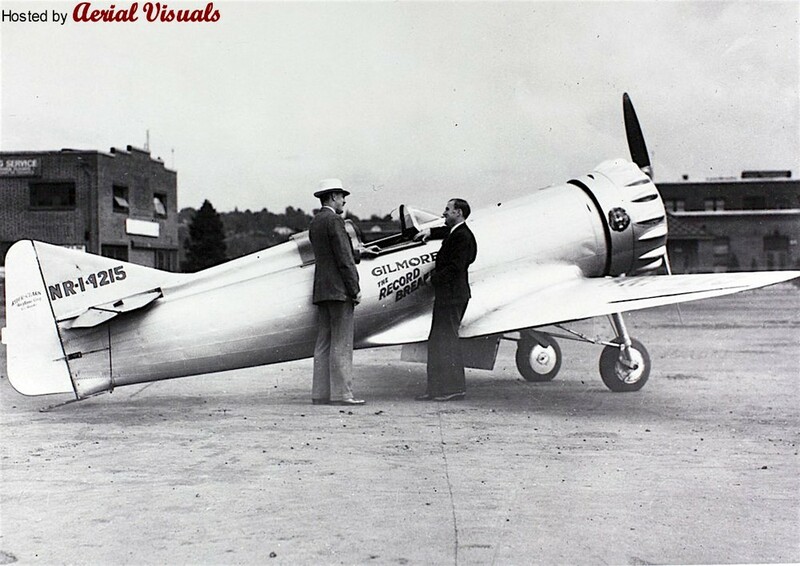 He used a Curtiss Jenny post-war, forming ABC airlines. In 1923 Abrams founded Abrams Aerial Survey Company, and in 1937 Abrams Aircraft Corporation to build the specialized P-1 aircraft. The standard single, front-engine airplane of this era created many problems for good scientific photography. They were created to be very nimble in the air and rather than stable photographic platforms. Their engines leaked oil which would flow under the aircraft and get on the camera lens. The engines were noisy and the noise flowed back into the cockpit making conversation difficult. The designer of the Abrams P-1 Explorer conceived a plane with a wide wing span to be more stable, and with a rear engine to keep the camera clear. He wanted a delta type wing so side vision was possible. He hired engineers Kenneth Ronan and Andrew Edward Kunzl in Marshall, Michigan, who drew plans and began construction in the old Page Brothers Buggy Company factory. Ronan and Kunzl operated an aeronautical repair station at the Marshall airfield. Ronan was in the first graduating class of aeronautical engineering from the University of Michigan. Careful planning and ten months of construction produced an airplane capable of more efficient and economical aerial photography. To create the clear nose, so the pilot had unobstructed view, he called in the German company of Rohm and Haas, creators of Plexiglas. With a wooden, male model of each window pane, the Plexiglas was clamped in a frame much like a window frame. Then heated until it began to sag it was pushed down by two workers holding the frame until it was molded to the wooden model. The Plexiglas could then be trimmed and mounted in the frame work. When the Explorer came back for restoration, it was those panels which had been heated which survived the years as clear as when new. However through some abuse during disassembly they were destroyed. It was a low-wing metal monoplane with twin booms and a central nacelle for the pilot and camera equipment. The pod's nose section was extensively glazed in Plexiglas. The undercarriage was fixed and of tricycle configuration. That one you posted is the 1935 version I think. The one I posted is the 1937/38 version. Yes - different cowling, at least. Hope you noticed the link!